There may be few manufacturing problems worse than a machine breaking down unexpectedly. It stops production, disrupts the workflow and slows down the supply chain. If the equipment isn't fixed immediately, it could cause countless other problems, such as the inability to meet demand. However, some suppliers have discovered a way - remote monitoring and diagnostics - to not only prevent this from happening but to improve various aspects of the supply chain. In the past, if you had a problem with your technology, you would have to contact customer service. At this point, there is nothing that can be done to prevent the current issue, as it has already happened. Remote monitoring and diagnostics will allow manufacturers to detect a potential problem before it affects the device's performance. Today's technology comes equipped with sensors and programs that monitor the inner workings of the equipment. Through RM&D, this data is sent back to the manufacturer so that they can detect and diagnose an issue long before it harms the supply chain, LinkedIn contributor Victoria Sikopoulis explained. The collected information is analyzed and compared to expected behavior to predict future bottlenecks in the workflow. Technicians with the manufacturer or supplier can schedule maintenance to the machine's system prior to it breaking down. These managed IT services reduce workplace downtime and allow for the consistent monitoring of devices, which will minimize workloads and aid technicians in providing customer service without setting foot in the building. How does RM&D improve the supply chain? Original equipment manufacturers, as well as their customers, will experience countless benefits when RM&D is mplemented by third-party companies. Because the system monitors machines and equipment in real time, problems are diagnosed before they happen on the consumers' end, according to IndustryWeek contributor Steve Pavlosky. This creates goodwill with clients, because they know that their suppliers will always ensure their businesses are running smoothly. Preventative measures can be taken prior to something going wrong, which will keep the supply chain up and running. 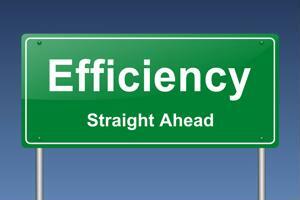 RM&D also improves efficiency in the workflow. Because data is constantly being collected, manufacturers and business owners have a better understanding of the inner workings of the equipment, Pavlosky explained. They'll know how machines are being used, if they're working properly and where there is room for improvement. If any problems arise, this will reduce downtime because they'll already know where the issue is, Sikopoulis claimed. The process also provides OEMs with new revenue sources and money-saving options, according to Pavlosky. They are able to offer businesses additional contracts that will provide these preventative measures, which offers more coverage than the traditional warranty would. RM&D also requires fewer employees, so OEMs can cut costs by limiting the number of workers they hire and recruiting more qualified candidates. RM&D provides protection throughout the supply chain. With this system in place, businesses can ensure that their machines stay in top shape and productivity remains high.